There are few writers that have impacted my view of the world, and the way I see myself in it, as profoundly as Mary Oliver has. I have added her poems to my personal collection of wisdom; a sort of spiritual omnibus. Over the years, I have gathered quotes from books and poems wrought with insight that teach me how to pay attention to the beauty of the world. When I find myself yearning for a deeper meaning in my life, words from people such as Etty Hillesum, Ignacio Ellacuria, Rumi, Rilke, Saint Augustine, and the ancient Stoics are there to guide me. Their perennial wisdom provides a conduit through which I am able to give a voice to the dimensions of my faith that I am so often unable to articulate. Yet no author I have come across, no book I have ever read, has resonated with me in this way as much as Mary Oliver has. I find it quite apt to begin our Lenten journey, and this reflection on Ash Wednesday, with Mary Oliver and her wisdom. When we are younger, we are often taught that Lent is about ‘giving something up,’ in preparation for Christ’s death, and ultimate resurrection. The traditional purpose of these 40 days is, after all, to lead our hearts closer to Jesus through prayer, fasting, and works of love. Yet when I was a child, giving up ice cream or cookies for Lent was, for better or worse, the only way I knew how to define the details of my devotion. As I have grown older, I have undoubtedly let go of this understanding of Lent, and have, in a sense, given up giving up. Last year during Lent, I decided that each day I would read one Mary Oliver poem. Though I had in many ways ‘let go’ of my preconceived notions of Lent from when I was younger, I had yet to fully redefine what this period of faith meant to me as an adult. I have been reading Mary Oliver’s poetry for several years, but it was only last Lenten season that I realized her writing is best understood when practiced. Each poem I read felt like it was directed at me. The rigor of her questions (what is it you plan to do with your one, wild, precious life?) and the astonishment of her wisdom (this is the first, the wildest and the wisest thing I know: that the soul exists and is built entirely out of attentiveness) beckoned me, drew me closer to this perennial wisdom with each subsequent word. It is hard, I think, to read Oliver’s poetry and not be impacted – even if in but the slightest way.Though she does not identify (to my knowledge) as a Christian herself, suffice it to say that Mary Oliver has broken my heart open to the beauty of the world, and in that way, has taught me what it means to be a better Christian, and a better Catholic. She has taught me that Lent is a time to calibrate our hearts to be more attentive. The more attentive we are to the details of our devotion, the more palpable a sense of the Divine becomes in our daily life. Attentiveness then, cannot be understood without a response; for, as she says, attentiveness, without response, is only a report. I have often said that if every Christian were to read Mary Oliver, that they would come to a deeper understanding of what the Christian faith is about. This faith of ours, as I have come to understand it, is not solely predicated on doctrine or dogma, but is wholly constitutive of how attentive we are to the world, and our place as Christians in it. And so, it is especially on Ash Wednesday, that Mary Oliver’s poetry calls to each one of us and asks us to closely analyze the ways in which we can be carved anew by the details of our devotion this Lenten season. Men and women of faith who pray–that is, who come to a certain assigned place, at definite times, and are not abashed to go down on their knees-will not tarry for the cup of coffee or the newsbreak or the end of the movie when the moment arrives. The habit, then, has become their life. What some might call the restrictions of the daily office they find to be an opportunity to foster the inner life. The hours are appointed and named; they are the Lord’s. Life’s fretfulness is transcended. The different and the novel are sweet, but regularity and repetition are also teachers. Divine attentiveness cannot be kept casually, or visited only in season, like Venice or Switzerland. Or, perhaps it can, but then how attentive is it? And if you have no ceremony, no habits, which may be opulent or may be simple but are exact and rigorous and familiar, how can you reach toward the actuality of faith, or even a moral life, except vaguely? The patterns of our lives reveal us. Our habits measure us. Divine attentiveness cannot be visited only during the season of Lent. Yet over the course of the next 40 days, striving for attentiveness can become not only the beginning of our devotion to God, but the essence of it. We are all too often distracted, and our failure to be attentive to the presence of the Divine in our lives leads us, in many ways, further away from our relationship with God. As Alice Walker puts it in her book, The Color Purple, “I think it pisses God off if you walk by the color purple in a field somewhere and didn’t notice it.” Attentiveness is not simply an ‘add on,’ it is fundamentally a different way of existing in the world. It is not primarily an intellectual pursuit, but elicits a certain way of being. Attentiveness in this way, I think, can then shape the details of our devotion in an unprecedented way. Meg Stapleton Smith is a master’s candidate in Ethics at Yale Divinity School. After graduating from Boston College in 2013, she was Director of Campus Ministry and a Theology teacher at Notre Dame Cristo Rey High School in Lawrence, MA. Her current research interests lie mainly in Salvadoran liberation theology and contemporary Christian social ethics. 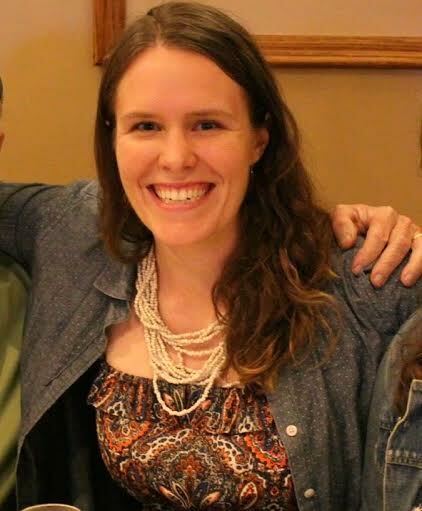 In her spare time, Meg enjoys playing with her family dogs Ruby and Ty, visiting craft breweries, and reading poetry by Mary Oliver, Rumi, or Rilke. It is clear that Meg is a true believer because she is also an avid New York Mets fan. What an inspiring article to read on Ash Wednesday. Thanks for the two inspiring authors to follow Mary and Alice. Divine Attentiveness something to aspire to this Lent. It takes a great deal of self-discipline to be attentive to any one thing at all times, let alone everything around you. If it isn’t instilled in a child from the beginning, it may never happen. How sad is that?